Construction of 150,000-ton silos has been finalized, said a ranking official on Tuesday, affirming that the step would serve the national food security strategy. This vital project is part of Kuwait Flour Mills and Bakeries Company’s plan to increase reserves of basic products to cover local consumption for a period of nine months to one year, said the company executive manager, Metleg Al-Zayed, in an interview with KUNA. The company has started taking all necessary measures to ensure stability of food supplies, with direct government support and according to guidelines of the supreme leadership, he said, noting that it had mapped out a contingency plan in 2008, when the global food crisis broke out. 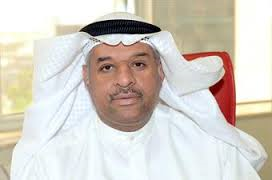 “We have increased the strategic reserves of basic food materials to bolster Kuwait’s capacity of coping with food crises and instability of international prices of these products,” he explained. Elaborating, he said the company has succeeded in stabilizing prices of the main products, rates of other commodities “and stemming high prices that almost became a lasting fact at start of the international food crisis that hit the world in 2008.” On some problems facing the company, Al-Zayed indicated at lack of sufficient support in the market. “Our market is open thus producers from Arab and foreign states take advantage of this situation to swamp our market with their products,” he noted, alluding to the fierce competition facing the national products. As to how face such competition, he called on relevant authorities to enforce legal penalties against those who seek “to flood” the local market, following suit of other nations bent on protecting the national products. Al-Zayed further called for greater cooperation with the cooperative societies and government authorities to deal with the Kuwaiti industrial companies on preferential basis. He also urged the government to allocate more plots of land “to increase our production and storage capacities in tandem with the population and consumption growth.” He praised the government approval of specializing some lands to establish automatic bakeries in Al-Regga, Saad Al-Abdullah and Jeleeb Al-Shuyoukh, indicating that the company was awaiting approval of some architectural specifications to press ahead with execution of the venture. As to his predictions of food prices in the second of the current year and early next year, Al-Zayed said the global market has witnessed abundant supplies of cereals after the weather improvement in producing nations, thus prices of some of the basic items have dropped. Current prices reflect forecast global production of the grains and other basic items this year after dropping last year due to wide-spread drought that hit the United States and the dry weather that gripped other major producing nations, he noted further, expecting prices’ stability in the coming months, provided the favorable weather and climatic conditions persist. On financial status of the national company, he said the results during the past months were better than those posted in the same period of the past year. The company profits last year reached KD 26 million. Its basic assets amounted to KD 47.7 million and sales exceeded KD 308 million.